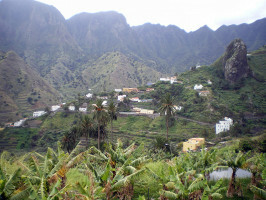 Follow the sound of the secret Canary Island whistles and they will lead you to a marvelous island biosphere reserve. Discover Garajonay, a National Park that guards a tragic love story wrapped in dense forrest. 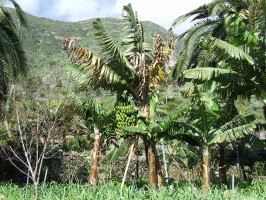 Have a great day out on La Gomera and get to know the most interesting parts of this beautiful island. 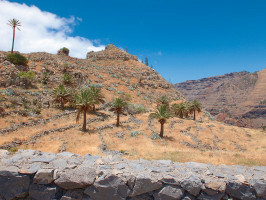 This tour starts at the port of Los Cristianos where you’ll take the ferry to San Sebastian de la Gomera, main port and capital of the island. 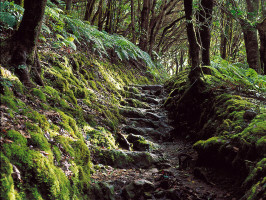 Once there we’ll climb to the Garajonay National Park, nature reserve and World Heritage Site where you’ll be entranced by the ancient, misty laurel forest with its many ferns and moss covered rocks. We’ll make a stop at the Mirador de la Degollada de Peraza where you’ll get the chance to enjoy panoramic views over the whole island. 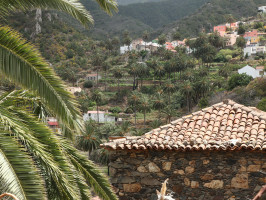 We’ll drive on through la Palmita, heading directly into the National Park where we’ll make a stop at the picturesque villages of Las Rosas and Agulo. There, we’ll have time for lunch in a typical local restaurant where you’ll get to see a live demonstration of the ''Gomera Whistle'', a unique language developed here for communication over the island’s long distances separated by deep gorges. If we have time, after lunch we’ll make a stop at the Juego de Bolas Visitor Centre. 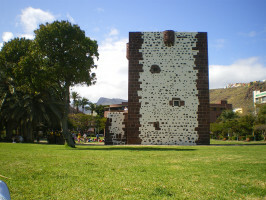 We’ll then drive through the lush Hermigua Valley, with its hillsides covered with banana plantations, back down to San Sebastian, where you can visit the Torre del Conde and La Casa de Colón, following in the footsteps of Christopher Columbus before he sailed off into the unknown on his first voyage of discovery. After exploring the city, you go back to the ferry for the return trip to Tenerife. From Santa Cruz at 6:30am. When making the reservation, customers must provide their full names and passport numbers. Please note that all guests going on the La Gomera excursion must take their passports with them to adhere the boarding controls. If they don’t do so, they could be refused boarding.